See Kelley Park (the video) NEW! • The Board of Education currently has insufficient funds to build the school. 1. That the Gaithersburg City Council REJECT the Board of Education proposal. 2. That the Board of Education involve surrounding neighborhoods and RECONSIDER other potential sites. 3. That the Montgomery County Council and County Executive WITHHOLD discussion of funding until all preliminary options have been re-visited and the required traffic, environmental impact, and boundary studies have been completed. In combination with the paper petitions we are almost at 1,700 signatures!!!! Tomorrow the City Manager will present his recommendations on moving forward with negotiations with the Montgomery County Public Schools regarding the siting of the new elementary school. Please SHOW YOUR SUPPORT. Turn out in person (wearing green) at City Hall at 7:00 p.m to tell the Council that you want to SAVE KELLEY PARK. It promises to be crowded-get there early and bring a 8 1/2" x ll" sign. * We've added a video "See Kelley Park" and hashtags so that you can follow us. * We also clarified the 5th bullet about attendance which was confusing to some. *We appreciate your support. Thank You! The City Council met on May 21st. Many people spoke. Watch at https://gaithersburgmd.iqm2.com/Citizens/Detail_Meeting.aspx?ID=5556. 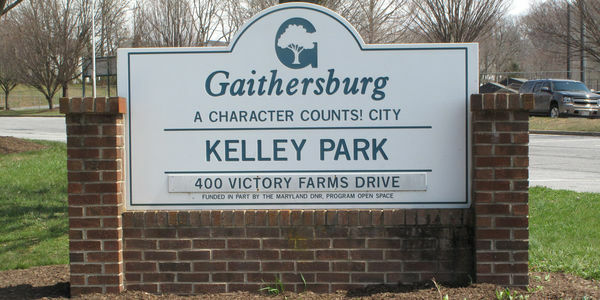 We need YOU to write to the City Council at cityhall@gaithersburgmd.gov and tell them why YOU want to SAVE KELLEY PARK!!!! On June 4th, the Council will hear recommendations from the City Manager and either direct him to begin negotiations for the school or not. YOUR OPINION COUNTS! HELP US!